Chaga vs Cancer, Psoriasis and Other Diseases: Will Chaga Help? Chaga is known to be very efficient in fighting cancer, psoriasis and other diseases. It is often thought of as “alternative medicine” but it isn’t – the proven high levels of antioxidants (measured on ORAC scale), make it a powerful superfood. There are many testimonials online but a bit of skepticism is always healthy. There is a lot of hype out there, and you want to make sure that what you read it legit. Therefore we searched all over the internet to find real Chaga testimonials. PLEASE NOTE: We do not claim that Chaga is a miracle mushroom against serious diseases. You can read about different testimonials which we pointed out but you should have a healthy level of skepticism. Chaga has proven effects from plant and animal testing, which may apply to human too. However, every serious diseases (like cancer, diabetes, or psoriasis) have different causes and treatment. For serious illnesses, always contact your doctor and read informational pages (like Chaga101) to get more information about the possibilities of both treatments, drug interactions, and side effects. How Are Chaga Research And Testimonials Made? The case you want to prove is that some fungus, plant, or pill can fight against some disease. There is a chain of experiments that need to occur. It’s the same for Chaga medicine. First, you need to show that the Chaga powder or extract can really reduce cancer cells in cell culture. For it, they test substances on plants or animals, typically mice. If they have an effect, then it shows that it might be possible to have the same effect on a human too. If the Chaga for cancer test shows positive effects to psoriasis or something else, then you can start repeating this study on human patients. These are called clinical studies. To get better results and an overview of the effect, there are always test groups, not just individual tests. To wrap it up, there has been plenty of real medicine research on Chaga. Let’s see, what are the Chaga medical testimonials. Chaga is perhaps best known for its ability to prevent cancer, and supplement more traditional cancer treatments. It also stimulates the immune system – if one is diagnosed with cancer, then the immune system gets progressively weaker. There are well-established features of Chaga and cancer. Laboratory and animal studies show that compounds in Chaga can selectively kill cancer cells. It also stimulates the immune system. In certain cases, it also can fight inflammation and fatique and increse mental sharpness. However, since every patient is different, clinical trials are needed to confirm Chaga mushroom’s safety because it may interract with some drugs. See below for these potential side-effects. Here are two solid animal studies that provided Chaga mushroom cancer testimonials. Let’s read about them here. They researched the size of the tumors in mice from three diffrent groups – control and two with different amounts of Chaga extract in the food. The mice in the test group showed significant decreases in tumor size over the control. This research showed that Chaga cancer treatment has a strong effect on mice that may affect human in the same way. This Chaga cancer treatment research has been cited over 60 times. This study, “Cancer Cell Cytotoxicity of Extracts and Small Phenolic Compounds from Chaga” was made by Yuki Nakajima and colleagues in 2009, published in the Journal of Medicinal Food. The results were quite similar to the South Korean study. This study tested different amounts of extract and compounds and doses and looked for individual effects on tumor cells. 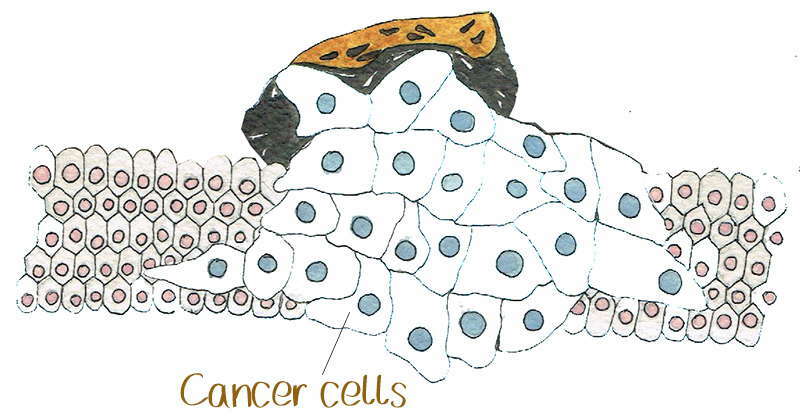 All variations showed an ability to destroy the cancer cells and some showed remarkable specificity in targeting cancer cells while avoiding healthy cells. Specificity is important for any cancer treatment. Chaga can easily cure or alleviate psoriasis. Best known study on the medicinal use of Chaga on people was on psoriasis. This study was made by Prof. E.A. Dosychev and V.N Bystrova in Russia – 1951. In 37 of these patients, the development of psoriasis was preceded by gastrointestinal tract or liver disease. In 9 patients, these conditions appeared during an existing psoriasis condition. The other 4 patients had accompanying chronic pharyngonasal cavity conditions. Almost every Chaga psoriasis patient with gastrointestinal disorders complained about heartburn, belching, diarrhea, and intolerance to fatty foods etc. Over 15 years in 10 patients. 43 patients started the treatment with Chaga extract paste during the acute stage of psoriasis and 7 during the steady-state stage. The chaga extract was heated in a bain-marie (double-boiler) and 1 table spoon of the extract was diluted in a glass of boiled water at room temperature. Forty-two of the patients used Chaga preparation for external use, 8 were also using one of the preparations for internal use. For the 12 patients who were not completely cured, this was probably related to alchol abuse during therapy. Four of these patients had accompanying pharyngonasal cavity conditions. To wrap up the results of this study – the psoriasis-therapy with Chaga is especially successful in cases where psoriasis occurs in combination with chronic inflammatory diseases of the gastrointestinal tract, liver and biliary system, which manifest themselves before of during the course of psoriasis. Most likely, the Chaga treatment of psoriasis provides long lasting remission without any other medication or therapies needed. There are non-research-based testimonials online that tell us stories. There might be medical suggestions or not. In these cases, we cannot know what’s behind them – is it really Chaga that made the effect, or could it have been the result of other drugs? Was it a placebo effect, or just the natural healing independent of Chaga. So skepticism isn’t bad in reading, but we all need hope in life. Female in her 40s – suffered from night vision problems and has difficulty driving at night. Using Chaga water for 2 months, her night vision problems disappeared. Male in his 40s – had chronic bronchitis and underwent acupuncture treatment for one month. The drugs he was using had adverse side-effects so he started to drink Chaga water and his coughing stopped. 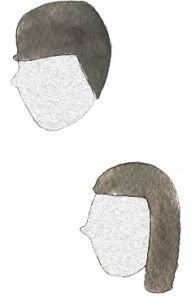 His condition improved dramatically, as did his skin complexion and luster. Female in her 50s – diagnosed with a large cancerous tumor in her uterus. She started drinking Chaga in large amounts and after 3 months, the tumor disappeared. Male in his 60s – had pancreatic cancer and started to drink mega doses of Chaga. With Chinese acupuncture treatment and herbal medicines, he now feels less pain and fatigue. Female in her 40s – a former alcoholic, now drinks modestly and works out regularly. Her nervous system is hyperactive and her hands shake constantly all the time. However, consuming Chaga gave her a calming effect. One fellow got rid of hard gastritis within three months of drinking Chaga beverage insted of pills. Mike, 72 years old, wrote that he was diagnosed with Dupuytren’s Contracture which is a condition in which one or more of the fingers are abnormally bent, and fascia, which is an abnormal thickening and tightening of the normally elastic tissue beneath the skin of the palm and fingers. After consuming Chaga, the symptoms abated noticeably. He now can open a jar or bottle without dropping it because of the soft grip. He stated that we should add this to the long list of the benefits of Chaga. In 2013, Russian scientists claimed that they found signs that Chaga mushroom can kill HIV. The group of scientists from the Vector research institute in southwestern Siberia found three types of mushrooms that they thought were promising for the development of antiviral medicines. An interesting fact was that Chaga was the strongest and most efficient from those three mushrooms. 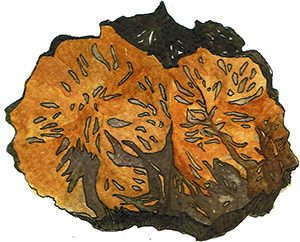 Chaga is widely known in Russia where Chaga mushroom has been well-known for hundreds (if not thousands) of years. An interesting fact was that Chaga was the strongest and most efficient from those three mushrooms. Ongoing research may provide newfound hope for people diagnosed with HIV (or AIDS), which is an incurable disease. Roughly 34.2 million people around the world suffer from HIV/AIDS and about the same number have died since the epidemic began. It would be nice to follow up on this study. Again, we remain skeptical. If this study proved that Chaga really cures HIV, then we would all know about it, and the authors would win a Nobel prize. It is best to seek trained medical help for serious disease. But we remain open-minded and hopeful. Chaga oxidative DNA Damage research in 2004 from South Korea, Seoul. This was not the full list of research and there may be hundreds of studies related to Chaga. Some of them are old and some fresh. The science develops and therefore new aspects are being discovered. Does Chaga help for health loss? Chaga mushroom tea is rich in vitamins, minerals and antioxidants. By combining these qualities with the tea’s side effect of reduced appetite, the results are moderate weight loss. Weight loss is all about consuming fewer calories than you burn. That’s how the tea works: you get a few good calories, and feel full. Chaga inhibits platelet aggregation, and clotting of the arteries, assisting in blood circulation. These properties make Chaga helpful for those, who are suffering from pain, neuropathy and diabetes, and may prevent heart attack and stroke. Studies have shown that one Chaga’s component – betulinic acid in Chaga is the ability to break down bad cholesterol. Read more on source 1 and 2. Due to its immune-boosting and antibacterial properties, Chaga has a long history of supporting gastrointestinal health in Eastern culture. Most ulcers are caused by bacteria such as Helicobacter pylori, which can interfere with a well-functioning immune system. So Chaga can help prevent ulcers by boosting the immune system and fight them with its antibacterial properties. Then the discomfort of ulcers and gastritis can be soothed by Chaga’s anti-inflammatory properties. Chaga is often thought to be alternative medicine, however, as you read, it isn’t. There is big science behind the proven effects of Chaga. If someone speaks of Chaga as a magic wand; it isn’t – it IS full of different healthy ingredients that play a positive role in human health. These ingredients are behind the successes. If you find good case-studies and testimonials that weren’t listed here, feel free to write us and we’ll try to take it in mind and update out Chaga medicine text.